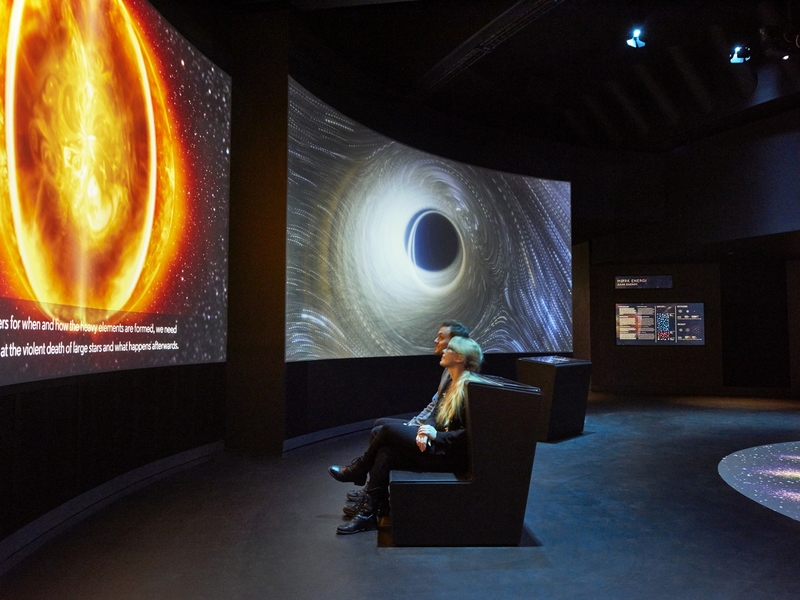 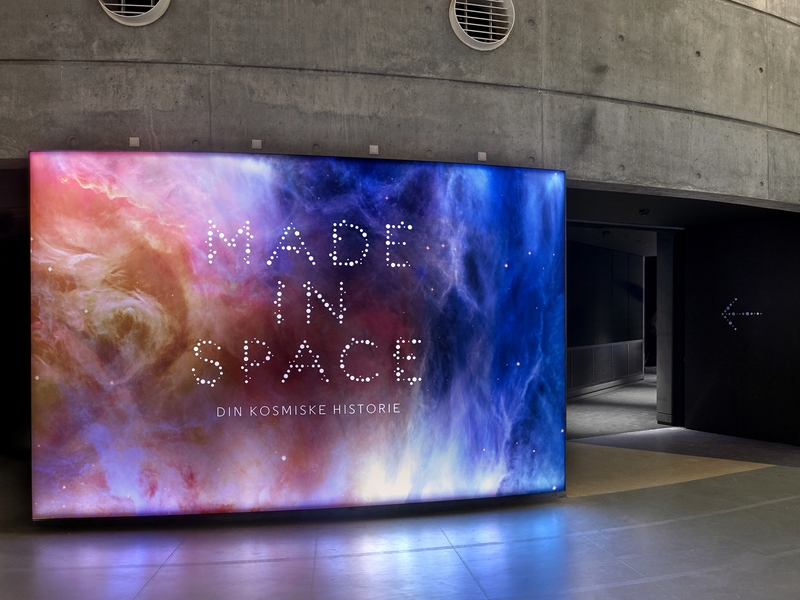 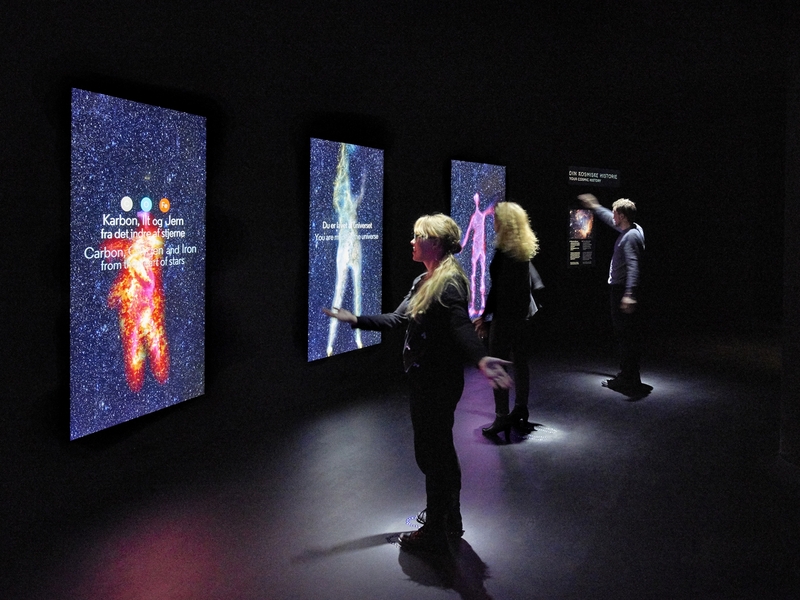 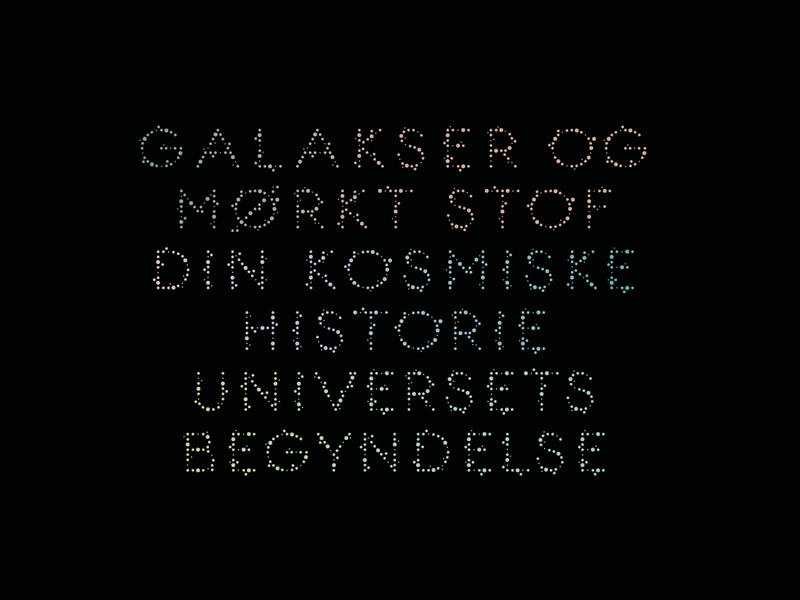 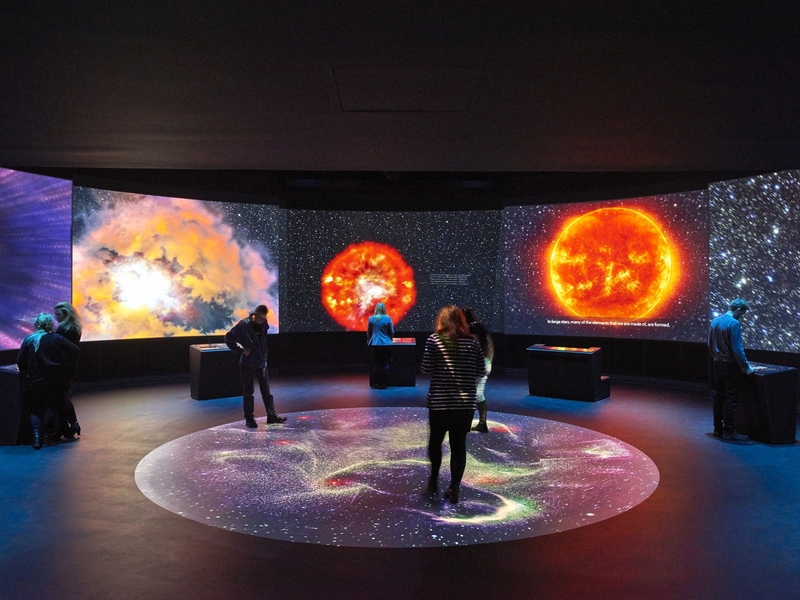 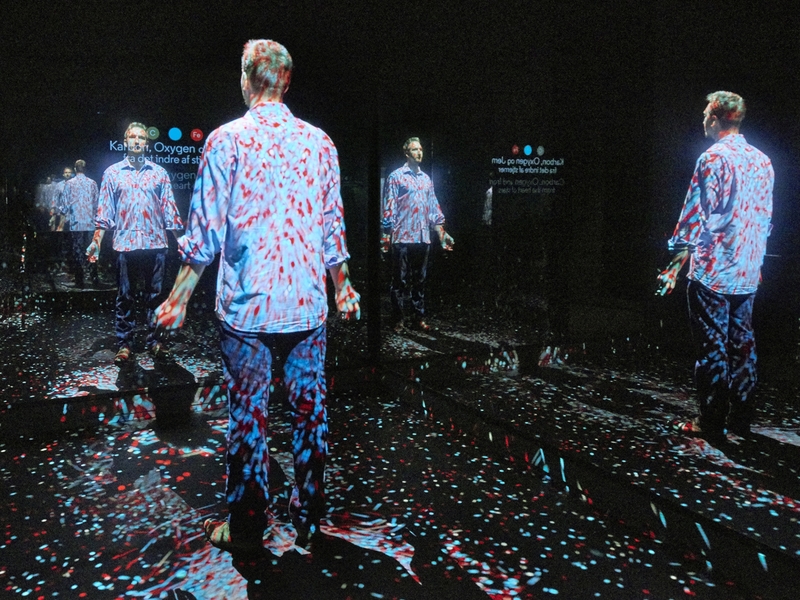 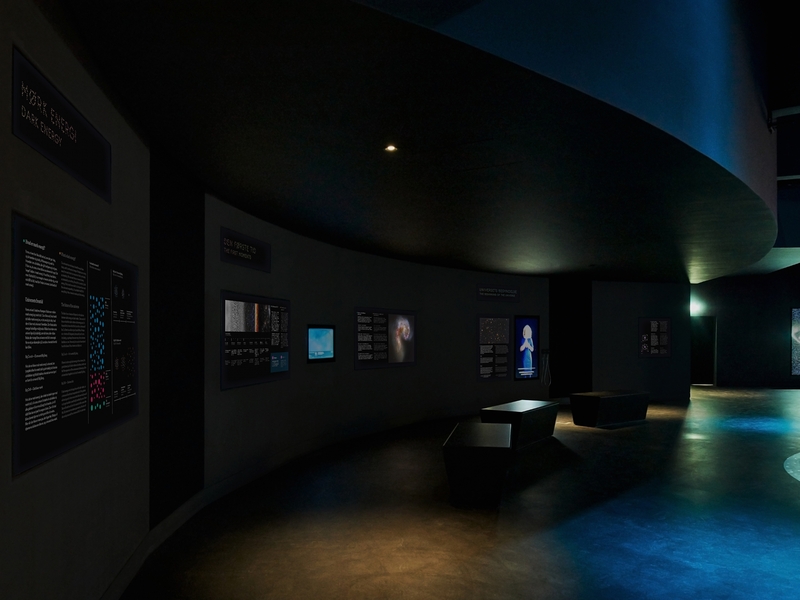 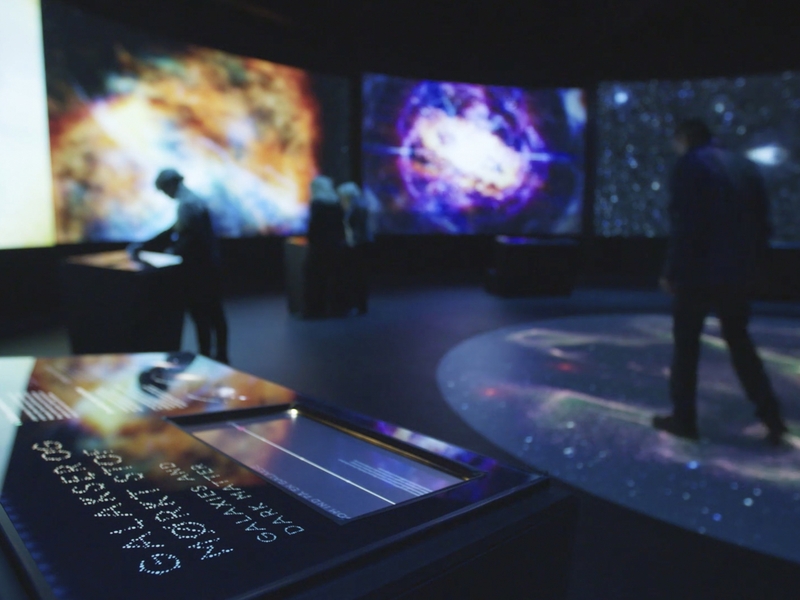 Exhibition design for a permanent space in Tycho Brahe Planetarium, Copenhagen. 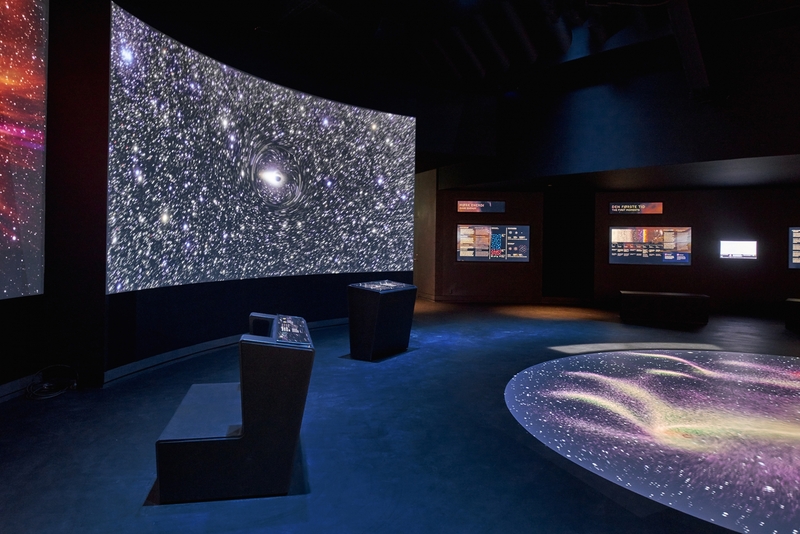 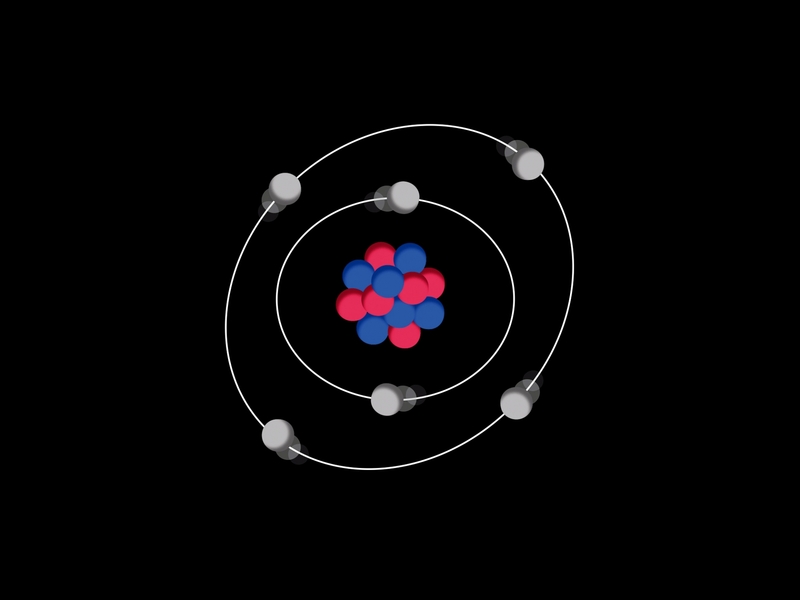 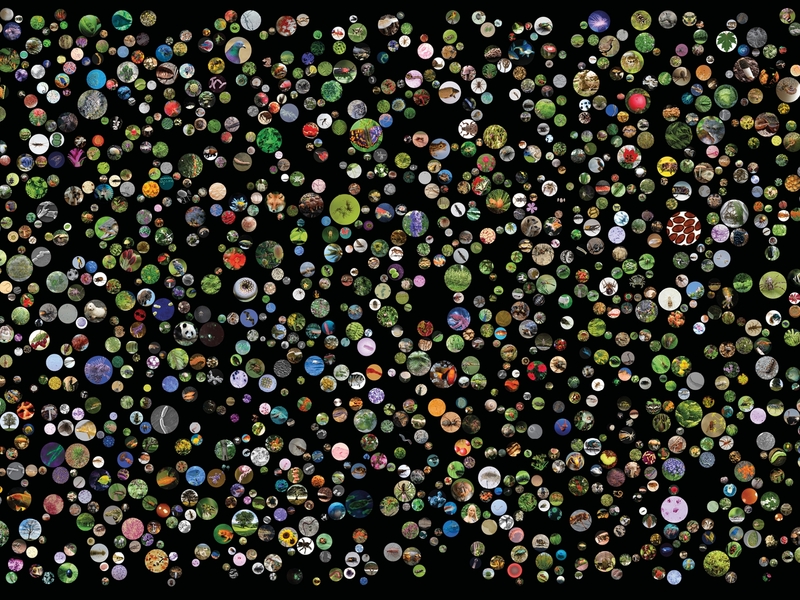 The exhibition addresses our personal connection with the cosmos through our shared atomic structure. 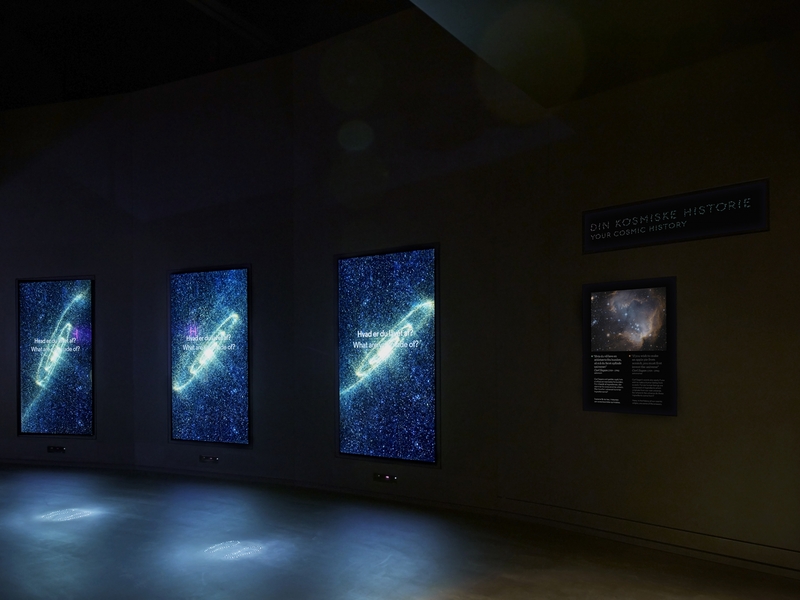 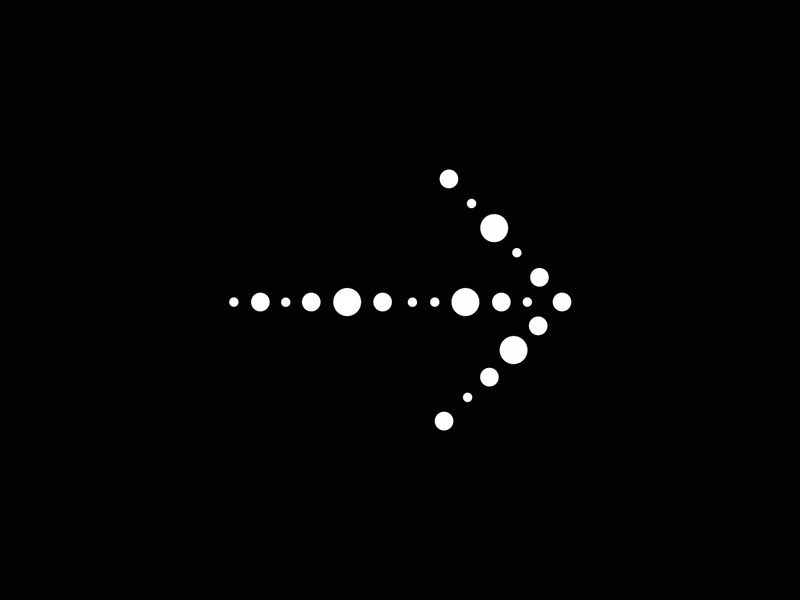 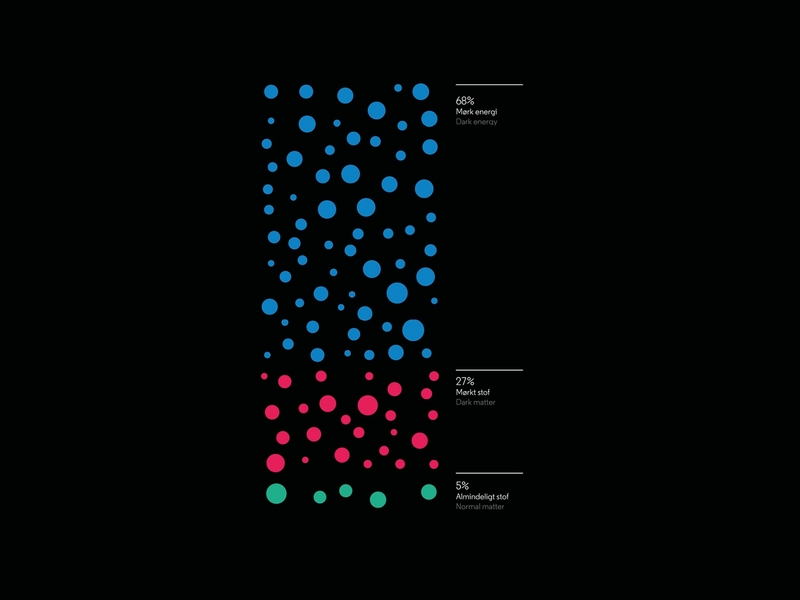 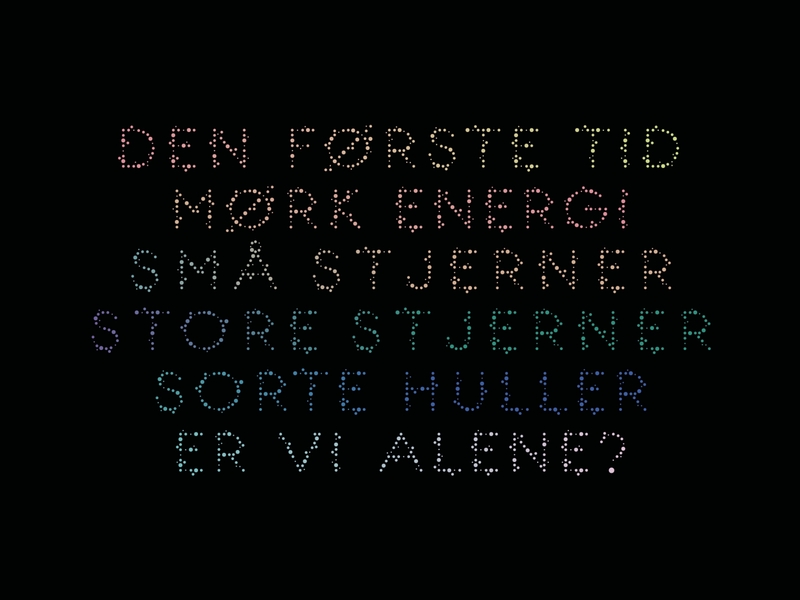 The design featured a bespoke typeface; Matter, designed to reflect both the stars and our molecular make-up.